WASHINGTON – Arizona Sens. Jeff Flake and Jon Kyl fell in line with other Senate Republicans Saturday to confirm Brett Kavanaugh’s nomination to the Supreme Court by the narrowest of margins. The 50-48 vote was partisan, expected and mostly anticlimactic after weeks of emotional and bitter fights over the nomination that was roiled by decades-old charges of sexual assault against Kavanaugh, and his strident denials and partisan attacks on his accusers. Within hours of the 3:30 p.m. EDT vote, President Donald Trump had signed the commission of appointment for Kavanaugh and he was sworn in at the Supreme Court, where chanting protesters crowded the steps. Now-Justice Kavanaugh is expected to “participate in the work of the court immediately,” according to a statement from the Supreme Court’s press office. 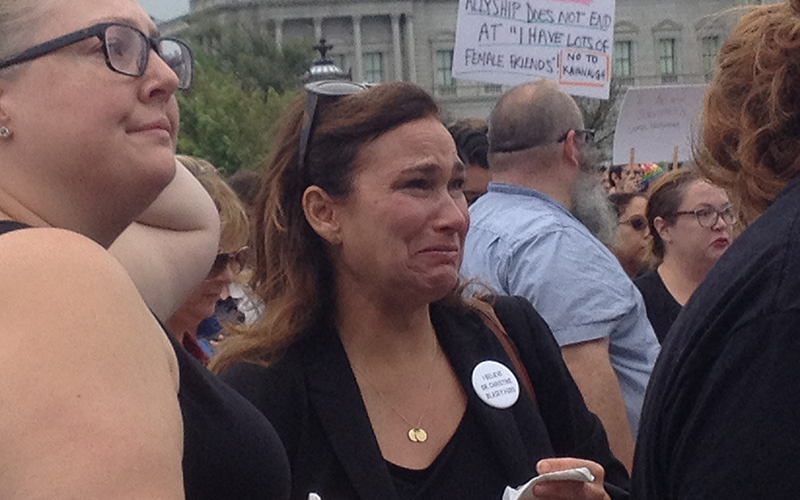 While Kyl and Flake voted without comment, protesters were not so quiet Saturday. 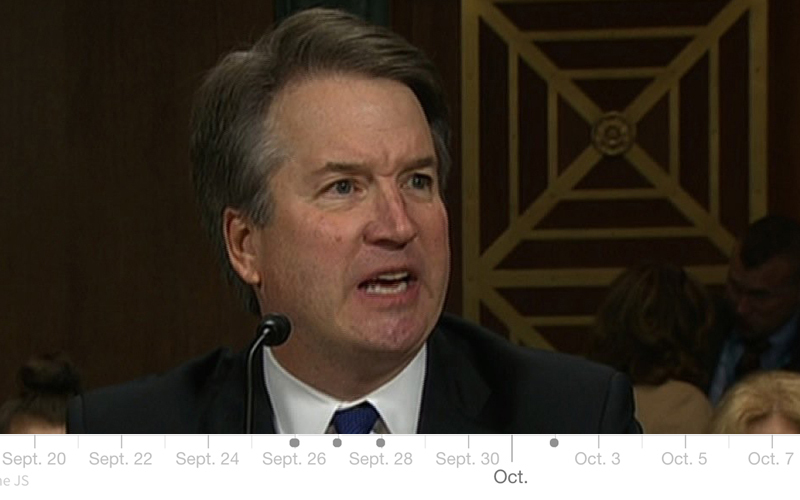 The vote to approve Kavanaugh was interrupted several times by people shouting in the galleries. Outside the Capitol, scores of protesters were arrested when they crossed police barriers and walked up the front steps of the building. A crowd of hundreds later cheered as each of the people arrested was led away in cuffs. 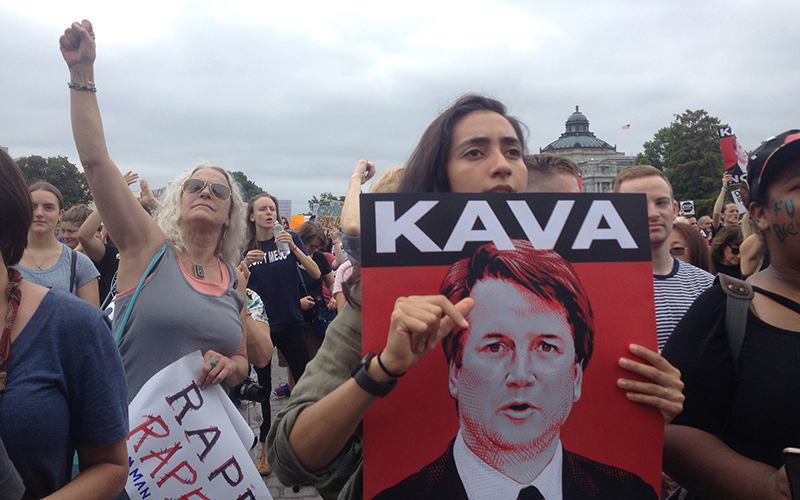 Across the street, protesters also gathered at the closed Supreme Court and stormed the front steps after Kavanaugh was approved. 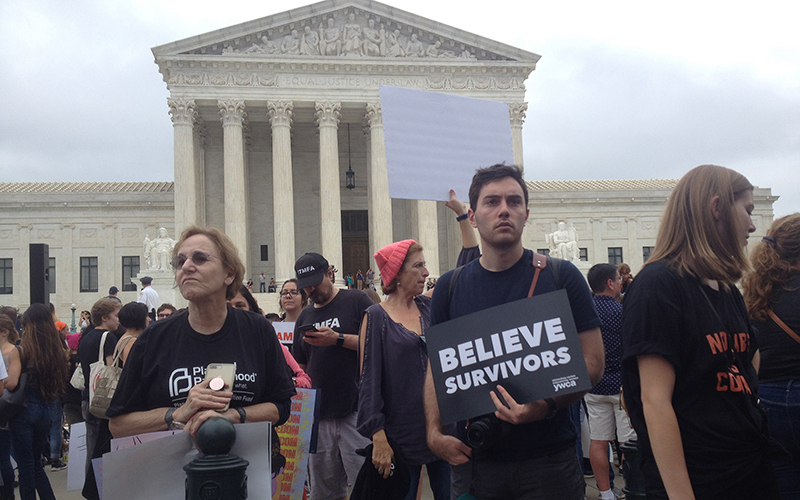 They carried signs saying they believed survivors and would remember in November at the ballot box. President Donald Trump dismissed the number of protesters Saturday, saying they all “could sit in the second row” of the rally he was headed to in Topeka, Kansas, last night. The 50-48 vote split almost entirely along party lines, with every Democrat but West Virginia Sen. Joe Manchin voting against Kavanaugh. Sen. Lisa Murkowski, R-Alaska, initially voted no but then changed her vote to “present” as a favor to Sen. Steve Daines, R-Montana, who was home for his daughter’s wedding and could not cast a vote. Murkowski’s switch did not affect the final outcome. Murkowski and Manchin were two of a handful of senators – along with Flake – who were closely watched as potential swing votes in the Senate, where Republicans hold just a one-vote majority. Flake had been a solid supporter of Kavanaugh’s until recent weeks, when allegations of sexual assault came up. Flake said then that he would have difficulty voting for Kavanaugh without first hearing from his accuser, Christine Blasey Ford. It was at that hearing nine days ago where Ford testified that a drunken Kavanaugh had pinned her to a bed and attempted to take her clothes off, at one point putting his hand over her mouth, when they were both teenagers at a party in suburban Maryland in 1982. Kavanaugh, who was subsequently accused by other women, followed Ford’s testimony with a heated, partisan defense in which he accused Democrats of orchestrating a political hit on him, and was argumentative with Democrats who tried to question him. Flake said then that he found Ford credible and Kavanaugh convincing, but planned to vote for Kavanaugh because he should enjoy a presumption of innocence. But after a heated Judiciary Committee meeting, a clearly pained Flake orchestrated a delay in the nomination to allow for a focused FBI investigation of the accusations. Even then, Flake said he was a conservative and hoped to see Kavanaugh, a conservative judge, on the high court. In the intervening week, Flake said he was concerned by Kavanaugh’s demeanor in the last hearing, but wanted to wait for the FBI report. That report was delivered Thursday – but only seen by senators. Democrats claimed it had been too limited in scope, while Republicans said it turned up nothing to corroborate Ford’s charges. Kyl took to the Senate floor Thursday to announce his support for Kavanaugh – hardly surprising, since before being named to fill the late Sen. John McCain’s seat, Kyl had been tapped by the White House to shepherd Kavanaugh’s nomination through the Senate. Flake made no official statement until his vote Saturday. His office was locked Friday and Flake, after being cornered by reporters as he tried to get into a car at the Capitol, gave a reluctant confirmation that he would vote yes, “unless something big changed” before Saturday’s vote.